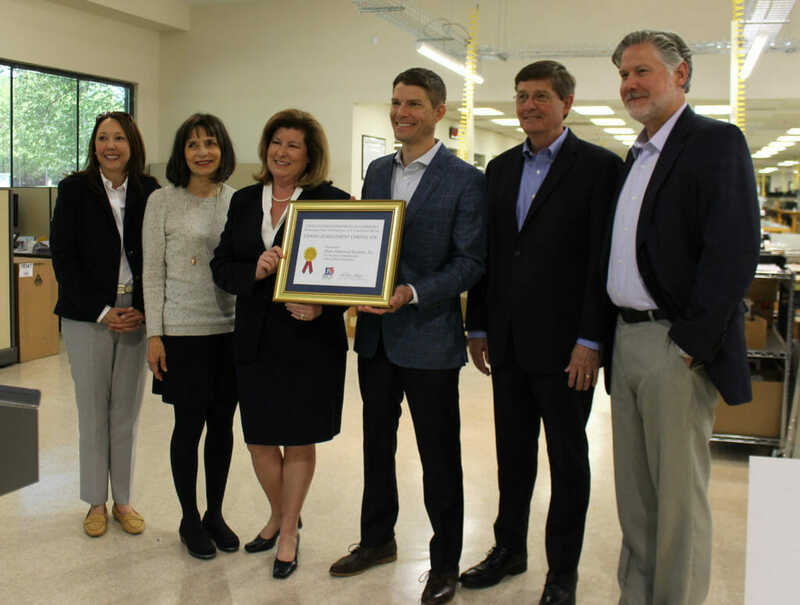 We were honored to have Karen Handel, U.S. Representative of Georgia’s 6th congressional district, along with representatives of the U.S. Commercial Service, present the award to us. 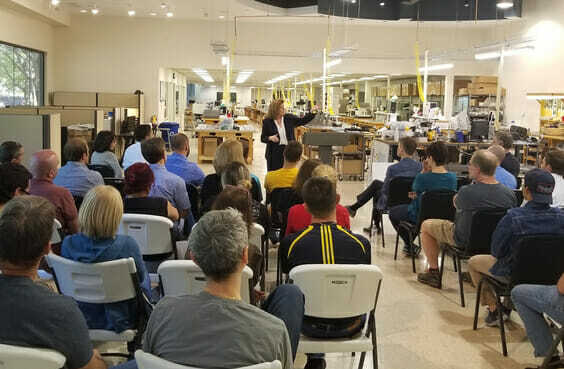 She also held a town hall meeting with Hope Industrial employees where she addressed several important topics, including trade policy, which plays a large role in our operations at HIS. Hope Industrial Systems’ first international sales were in 2001. In 2012, we opened a U.K. logistics center to provide increased support for customers in the United Kingdom and Europe. Today our products can be purchased in multiple currencies (USD, GBP and EUR) and we provide customer support in English, Spanish, and Italian. A rapidly growing percentage of HIS’ shipments are to locations outside of the U.S. and we have now shipped more than 100,000 industrial monitors to over 60 different countries. We are privileged to serve our customers around the world and thrilled to have received this Export Achievement Award.